Archery’s Big Weekend returns in 2018 from 15 – 17 June – and this year Archery GB are making it even easier for your club to host a successful event. With the recent tantalising hints of sunshine and the prospect of summer light at the end of that long winter tunnel, we can at last turn our attention to another summer of outdoor archery and related events. So now’s the time to save the date, register and start planning your 2018 event. 2017 was another huge success for the Big Weekend, with a record number of clubs taking part from all across the UK, and even more people enjoying archery than ever before. With British archers flourishing on the international stage, it is a great time to keep pushing and introduce even more people to this most inclusive of sports. Archery GB have created a special Big Weekend online portal to support clubs with a number of helpful guides on how to hold a Big Weekend event and most importantly how to sign up. Over the last six years stacks of clubs have reported spikes in interest and recruitment thanks to lots of open day participants returning to the club to sign up for beginners courses. Stockton Archers reported a staggering 450% increase in numbers attending, while Sittingbourne Community College Archers had over 370 people attending their event over the two days. Newcomers to the sport are constantly surprised by how much they enjoy archery – and the Big Weekend is a fun and friendly environment in which to showcase this great sport. Just before the weekend, clubs will be sent goodie bags including items to give to the participants. 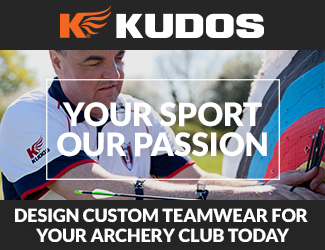 Clubs who are members of Archery GB will also qualify to receive two free T-shirts if you sign up before end of April 2018. After April, the events registered and all details for the public to get involved will be shown on the Archery GB website.